Driver Allowance, Parking Fees, Toll charges, etc. Exclusive Vehicle for transfers & sightseeing. Vehicle will be available as per itinerary only. GST of 9%Any Air Fare/Train fare/Helicopter fare/Bus tickets. 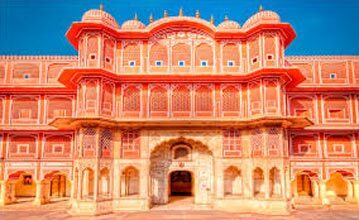 Additional sightseeing or extra usage of vehicle, other than mentioned in above itinerary. Camera Fees, Guide & Entry Fees. If any cost arising due to natural calamities like, landslides, road blockage, political disturbances, etc. (to be borne by the client, which is directly payable on the spot). Any increase in fuel price, Taxes package cost will be increase, which may come into effect prior to departure. Travel Insurance. Anything which is not included in the "Package Inclusions. Reach Volvo Starting point at 5 PM. Volvo departs at 5:30 PM for Manali. You will have a break on the way for Dinner. After Dinner relax in your luxury Volvo coaches. You can watch the videos as available in the Coaches. Overnight journey. Morning after breakfast, local sightseeing of Manali. 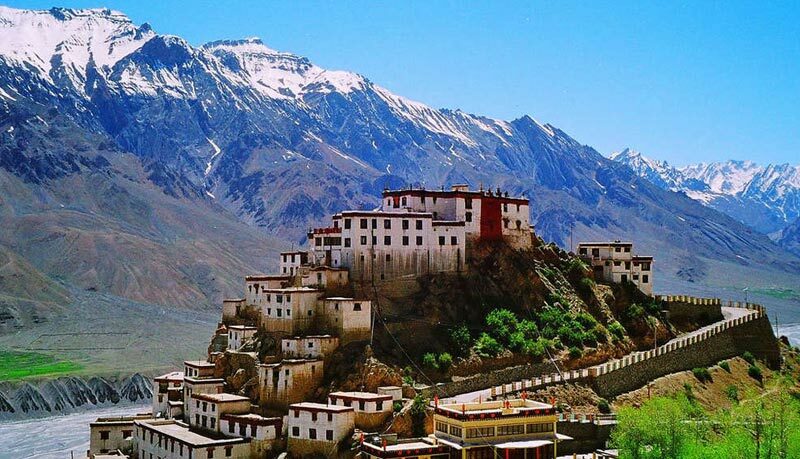 Visit Hidimba Devi Temple, Manu temple Tibetan Monastery and hot water baths at Vashisth. You can indulge in some shopping at famous mall road on your way back. Evening back to hotel. Overnight at hotel. Morning after breakfast, check out from the hotel & get ready to explore Kullu Valley. Afternoon drive to Naggar visiting Jagat Sukh Temple en route. In Naggar, visit Naggar Castle and Roriech Art Gallery. 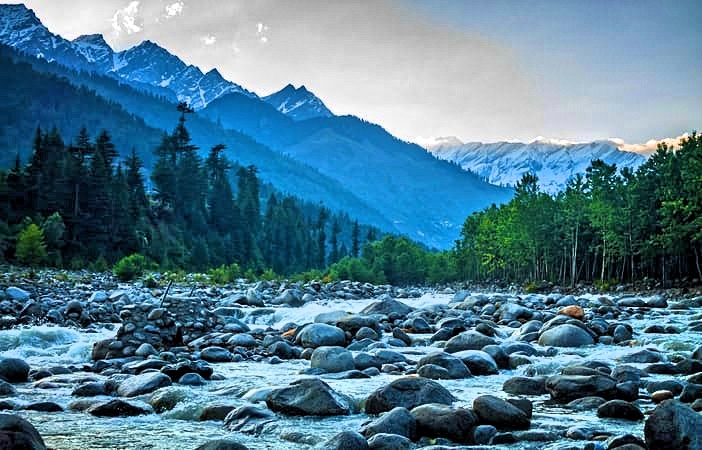 If you are an admirer of nature then a visit to the Great Himalayan National Park will be an enthralling experience to cherish. The National park is bestowed with a variety of wildlife species. It is an abode for approximately 375 types of fauna that include snow leopard, blue sheep, Himalayan brown bear, Himalayan tahr, musk deer, goral and several others. 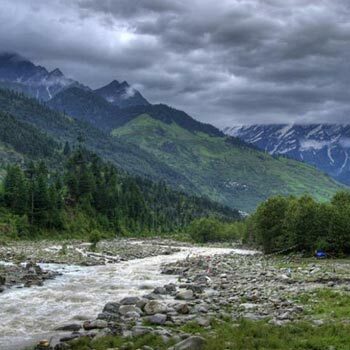 Today we will explore Parvati Valley which is famous for a very important pilgrimage site, Manikaran Sahib Gurudwara. Manikaran is a Pilgrimage center for Hindus and Sikhs. Gurudwara has hot water springs, a dip is worth recommended. On this day you can also enjoy river rafting. Evening return back to the hotel in Kully. Overnight stay at the hotel. Any Air Fare/Train fare/Helicopter fare/Bus tickets. 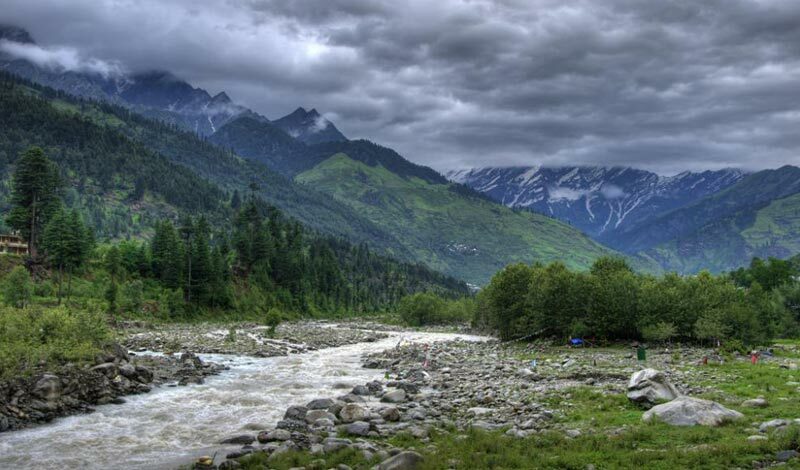 3 Nights 4 Days Delhi To Manali Volvo Pack.. Destinations Covered : New Delhi, Shimla, Rampur, Kinnaur, Laha..